Never underestimate the power of a determined witch. Letum Wood is a forest of fog and deadfall, home to the quietly famous Miss Mabel’s School for Girls, a place where young witches learn the art of magic. I had a rough time with this book. The beginning was interesting, but the middle dragged on for me. I wasn’t really drawn into the book until the last five chapters when the action really picks up. 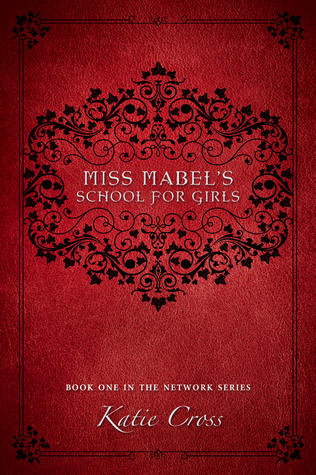 The book begins with Bianca being admitted in late to Miss Mabel’s School for Girls. Once she arrives, she volunteers to compete in a competition to become Miss Mabel’s assistant, something unheard of for a first-year. It’s later revealed that Bianca has been training for this sole purpose her entire life. This is due to the fact that Miss Mabel’s grandmother cast an inheritance curse onto Bianca’s grandmother. Bianca has less than a year now to try to convince Miss Mabel to remove the curse or she’ll die. Once she wins the competition and becomes Miss Mabel’s assistant, Bianca learns that Miss Mabel has a lot darker plans set out for her than she could’ve ever imagined. Not knowing who Bianca’s father was or what he exactly did bothered me most of the book. As a first person narrative, I expected that that as well as some other facts to be revealed a lot sooner than they were. Many questions floated around in my head, which distracted me from what was currently taking place on the page. Overall, the book was definitely a set up for future storylines and the main plot of a series. I liked where the series seems to be going and will most likely pick up the next book.